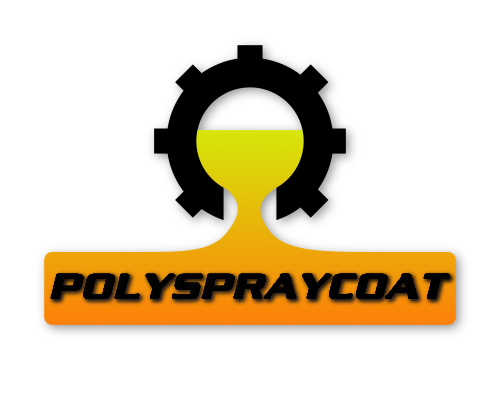 Poly Spray Coat: Rhino Liner Vs. ArmorThane – Which One is the Best? If you own a truck, especially a new one, chances are your friends or relatives have advised getting a bed liner. A bed liner helps to protect your truck bed from any damage which can be caused by the cargo moving around the bed of your truck. There are a host of brands claiming to provide a perfect bed liner, so you may find it difficult to choose the right option for you. However as far as type of bedliner there is currently only two; spray-in or a drop-in bed liner. Most people select a spray-in bed liner for their trucks. So, today, we are going to provide you the reviews and comparison of the two companies that have been around the longest; Rhino Liner and ArmorThane. 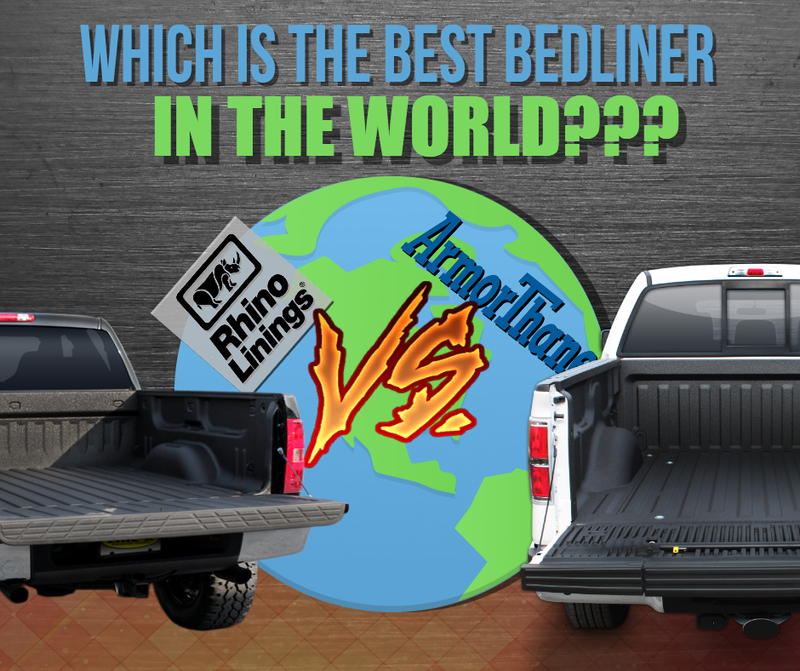 Our research, analysis, and face to face comparison of Rhino Liner Vs. ArmorThane will help you to choose the best option for your truck according to your requirements and budget. First, we will take a look at what is common among them both. Installation part is crucial for bed liner working. If you are or have a good installer, then you will get the best results out of the liner you use. Remember that, even if you got the best of the best bed liner for your truck, it could not beat UV radiation. So, it will fade away in a few years from the direct sunlight and this is applicable for both, in fact, for all bedliners. So you need to remove and install a new bed liner after a few years. Chemicals used in both the liners are mostly the same. Both liners offer a nationwide lifetime warranty. Color options are typically the same for the Rhino Liner and ArmorThane. Now, let’s check the differences between the ArmorThane and Rhino Liner in terms of durability, installation, performance, and cost. 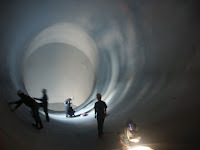 Rhino Liner Vs ArmorThane durability, installation, performance, and cost. Rhino Liner is the most famous bed liner today. Due to its versatility and reliability, you can use it in different places without any hassle. On the other hand, if you want a molded look on your truck bed, then ArmorThane is a better option to choose. Comparing the durability, the ArmorThane is more durable than Rhino Liner, especially for regular daily use. The installation process varies from one installer to installer for Rhino Liner. If your installer uses a hot and high-pressure spray system, then you will get a similar application like ArmorThane because ArmorThane is applicable with a high-pressure system at 130-210 degrees. Some installers use TuffGrip process for installing Rhino Liner which provides a softer and more rubbery feeling than the ArmorThane bed liner. Sometimes, people may find the truck bed covered with ArmorThane bed liner is harder than that with Rhino Liner. When you move around on your truck bed, you will feel hardness on your knees and also sometimes; it may cause damage to your wooden type cargo. On the other hand, Rhino Liner provides a smoother finish which behaves more gentle to your knees and cargo. ArmorThane has a thicker coating than the Rhino Liner which makes it a better sound deadening bed liner as well. Additionally, ArmorThane has a superior curing process, and so it is more durable than Rhino Liner. It doesn’t matter which spray-in bed liner you choose, whether it is Rhino Liner or ArmorThane, if you get the full body installation, then it may cost you around $3000-$5000. If you want to do only a truck bed lining, then it may cost between $500 to $1000. So, Rhino Liner Vs. ArmorThane – Which one is the Best? So not many people know this but 30 years ago the owners of ArmorThane and Rhino Liner knew each other and both worked together to come up with the best possible chemical blends. Soon afterward, the ArmorThane bed liners were using the best application process compared to the inferior cold process from Rhino Liner. They also offered a country-wide warranty, years before that provided by Rhino. Moreover, The ArmorThane brand has more of a cult following than the Rhino Liner. With people that use them typically going back time and time again because of the loyalty to the brand. Both claim to be the ‘best.’ However, claiming is not an essential factor for a permanent bed liner for your truck. ArmorThane time and time again has proven itself to be unmatched when it comes to nearly every factor taken into consideration. As someone who has been in the industry for over 2 decades, I would be lying if i said any different.